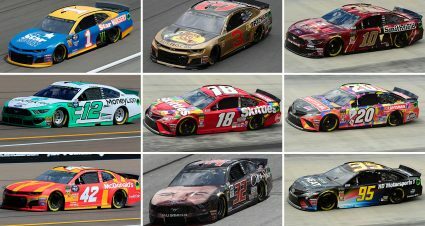 Here are five takeaways after the first five races of the 2019 Monster Energy NASCAR Cup Series season. Has the much ballyhooed new rules package lived up to its hype and anticipation? No it hasn’t. But to be fair, how could it? 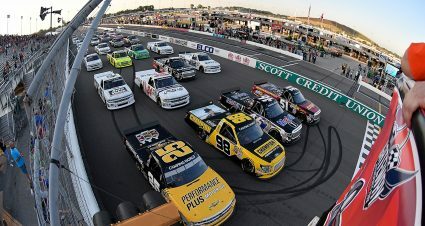 A large segment of the fan base and some of the media contingent built up so much excitement for what might come of the new rules that short of all 40 cars taking the checkered flag side-by-side there was no way for things to live up to those lofty expectations. 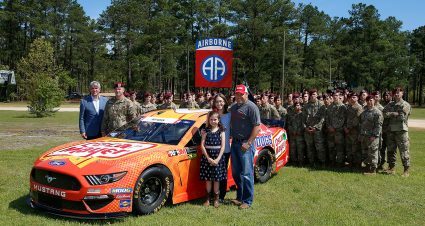 It is certainly fair to point out how NASCAR officials also had such high hopes for the package, which helped raise the bar. The bottom line is after really just two races with the full blown rules implemented the racing appears no better or worse. That’s not necessarily a bad thing. There have been signs of tighter competition and cars closer together. 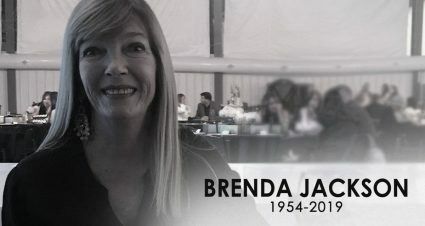 But in all honesty Las Vegas and Auto Club were pretty typical displays of the kind of racing both those tracks have produced in recent years. Preaching patience is absolutely no fun but it’s going to take more time to figure out exactly what the impact will be as teams continue to tinker with and adapt to the new rules package. Not surprisingly new rules or not there are teams who are more successful than others in the Cup garage. 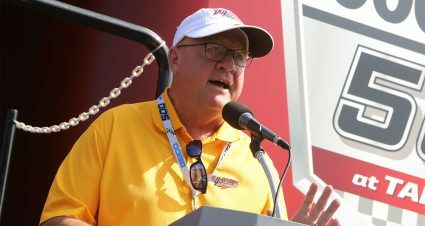 Joe Gibbs Racing has won three times and Team Penske twice. 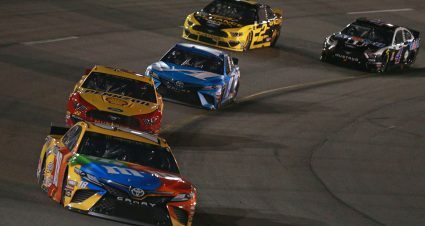 After Denny Hamlin took the Daytona 500, Kyle Busch added victories at ISM Raceway and Auto Club Speedway to give JGR a quick trio of triumphs. Penske running mates Brad Keselowski and Joey Logano made back to back trips to Victory Lane at Atlanta and Las Vegas. Even on weekends when neither organization found a way to win, they’ve been well represented at the front of the field and at least in position to challenge for the lead and victory. Busch in particular is off to one of the best starts of his career. He has two wins, four top five and five top-10 finishes on the board. 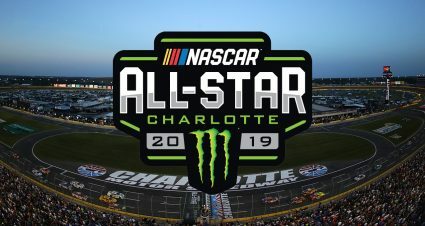 Sunday’s ACS win was the 200th NASCAR National Series victory of his career and Busch wrapped up the overall west coast swing winning five of the seven Cup, Xfinity and Truck Series races on the schedule with a second and third in the mix when he didn’t take the checkered flag. The scariest part for the rest of Busch’s competitors? There is no sign at all he’ll slow down anytime soon. Kurt Busch has four top-10 finishes in the season’s first five races as his migration to Chip Ganassi Racing is off to a very solid start. 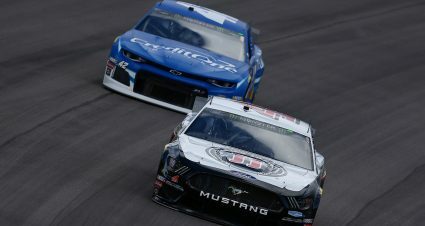 Aric Almirola has picked up where he left off at Stewart-Haas Racing last year when he nearly made the Championship 4 race at Homestead-Miami Speedway. Almirola also has four top-10 finishes to his record so far this year. Ricky Stenhouse Jr. is just outside the top 10 of the series points standings after a frustrating Auto Club Speedway outing, but the Roush Fenway Racing driver has led 23 laps so far and been a fixture in and around the top 10 on a weekly basis. Erase what Kurt Busch is doing and the first five races have been nearly a disaster for Chevrolet. Although Busch’s Chip Ganassi racing teammate Kyle Larson led 142 laps at Atlanta before a penalty took him from contention, he’s been off finishing-wise in the opening five races. 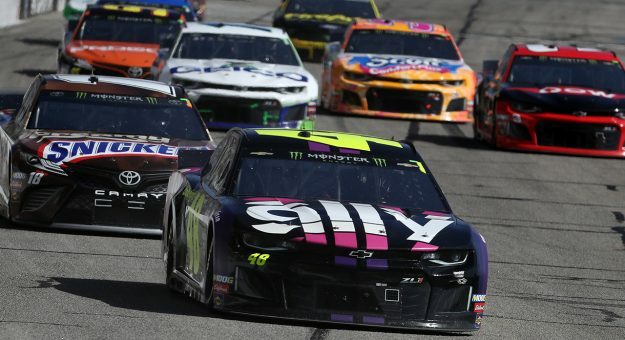 Maybe the most troubling sign for the Chevy camp is the continued struggles of Hendrick Motorsports, who for the first time in in 19 years has not scored a top-five finish in the year’s first five races. Chase Elliott is 12th in the standings with one top 10 and Jimmie Johnson sits 14th with a couple finishes inside the first 10 so far. But outside of those numbers, you have to squint pretty hard to see anything optimistic around the storied Hendrick camp at least until now in 2019.